Jamaica once again dominated their regional rivals at the recently concluded Carifta Games in The Bahamas. Jamaica won a total of 82 medals comprised of 44 gold, 27 silver and 11 bronze. And US-based 16-year-old Jamaican Briana Williams won the Austin Sealy Award for her incredible performances throughout the competition. The Austin Sealy Award is presented to the athlete adjudged the most outstanding, either in terms of record accomplishment, or quality of performance as compared to other top medallists. Williams was first in the Girls’ Under 17 100 metres, setting a new Carifta Games record of 11.27 seconds. 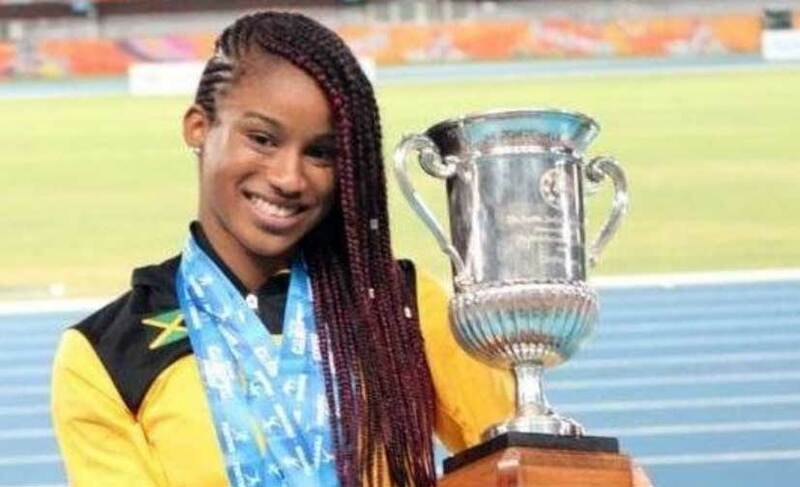 She was also a part of Jamaica’s sprint relay team that finished first, setting a new record of 44.95 seconds on Sunday. And on Monday she comfortably won 200-metre final in 23.11 seconds to earn her third gold medal of the meet. The CARIFTA Games is an annual athletics competition founded by the Caribbean Free Trade Association (CARIFTA). The games was first held in 1972 and consists of track and field events including sprint races, hurdles, middle distance track events, jumping and throwing events, and relays. The Games has two age categories: under-17 and under-20. Only countries associated with CARIFTA may compete in the competition.